A photographer has been found for this even. Many thanks to all the photographers who responded! Please contact the Iowa City Photographers Guild using the form below if you are interested in this photo event. Thanks! In need of a photographer to cover our spring ball. We’ll need the person to work for three hours from 6.30pm to 9.30. Delivery may include soft copies of fine tuned/edited pictures and any other media the photographer may suggest. This year’s MBA Spring Ball will be at Old Brick at 26 E. Market St, Iowa City, IA. The event will start at 6PM on May 6th. There will be no transportation provided as the venue hall is located directly behind the Pomerantz Career Center. Tickets will be $20 for MBAA members, and $35 for non-MBAA members. Please contact Hayle Cho or Benjamin Hjelmaas if you have any questions about the RSVP and payment process.. RSVP and Payments Deadline is April 24th. Medical photography has long attracted the interest of historians and archivists. This talk will address the use of photography in 19th century printed medical books, from technological and aesthetic viewpoints, as researchers and photographers pushed the existing arts to their limits. Why were these pictures taken? Who saw them? Were they meant for private study or profes- sional publication? How did they reflect the techniques and aesthetics of the rest of con- temporary photography. Parking adjacent to the hotel. Click here for the PDF form. Additional tax deductible donation: to help with student subsidies. Note: Lynda Payne’s talk on Lovesickness in Opera was canceled. A printable copy of the event flyer is available as a PDF or below as an image file. 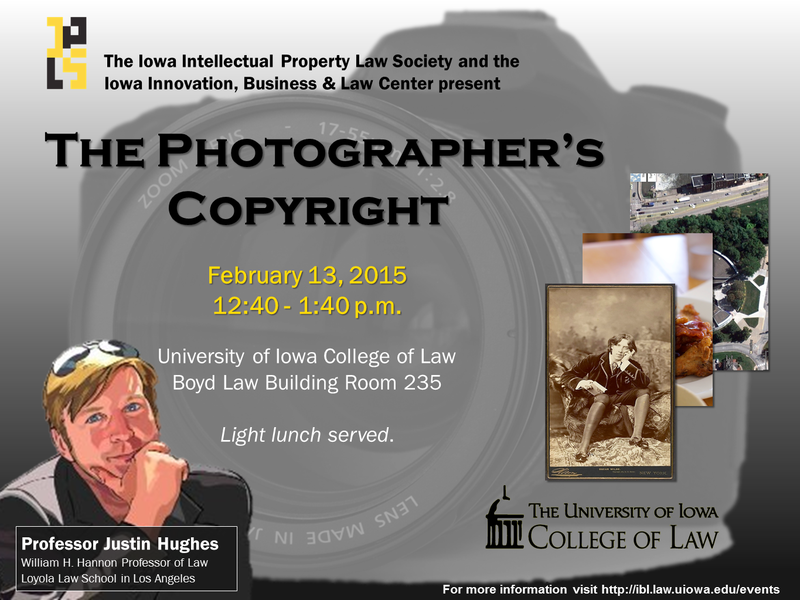 The Iowa Intellectual Property Law Society and the Iowa Innovation, Business & Law Center welcome Professor Justin Hughes to campus to discuss copyright law and photography. 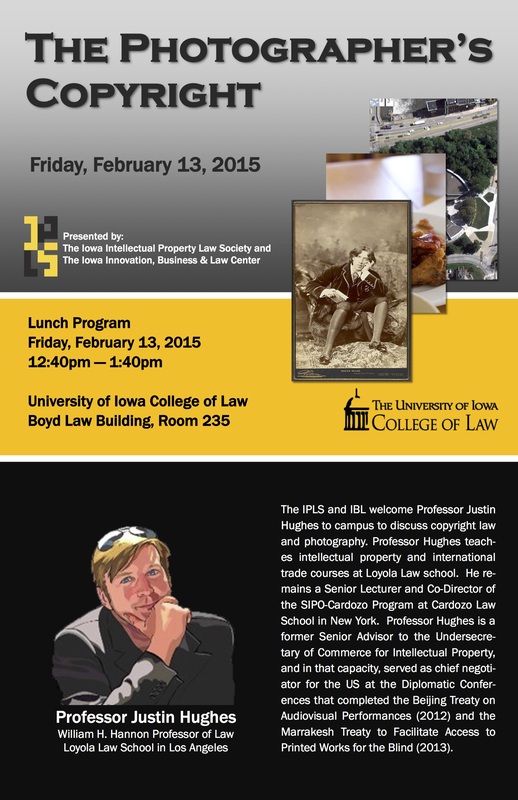 Professor Hughes teaches intellectual property and international trade courses at Layola Law school. He remains a Senior Lecturer and Co-Director of the SIPO-Cardoza Program at at Cardozo Law School in New York. Professor Hughes is a former Senior Advisor to the Undersecretary of Commerce for Intellectual Property, and in that capacity, served as chief negotiator for the US at the Diplomatic Conferences that completed the Beijing Treaty on Audiovisual Performances (2012) and the Marrakesh Treaty to Facilitate Access to Printed Works for the Blind (2013). Click on the poster below for a larger view, or click here to download the PDF. Below is the digital signage visual (in JPG format). Click the image for a larger view (in PNG format). 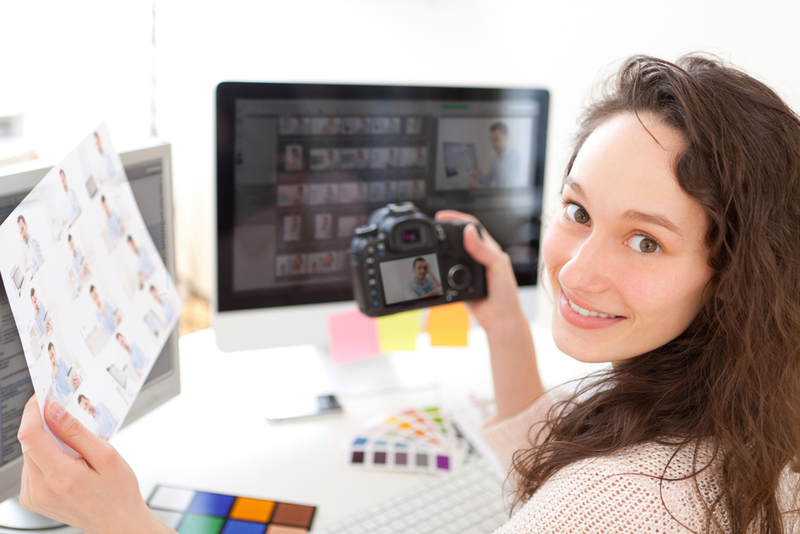 We need a photographer who can take professional product shots, for products which will be displayed on a website. You will need experience having done this before and appropriate equipment/white screens etc so our products look crisp and professionally done. If you respond to our ad, please include your costs in your email (at least as an approximate). The following announcement by Xiang from 3 December 2014 is reposted from the University of Iowa Photography Club. For those who signed up for Help Portrait, the event starts this Saturday at 9AM. We’ll contact you soon with more information. The following is an announcement from the University of Iowa Photography Club. We’re going to be photographing the homecoming parade this Friday! We will meet at Java House (211 E Washington St) at 5:10 and then go off. Click here for details. This round of the photo contest will be ending this Sunday! It’s ending early because we’re changing the program. Make sure you submit a photo as well as vote! There are some great pictures up there. You can find the contest on our Facebook page (not the group page). Currently you can only do one submission per person but that will change. Location: This will be a performance in downtown Iowa City. Deadline: ASAP. Performance is this Saturday. Contact: Sonja Bjelic by email s.bjelic@outlook.com or phone/text 207-632-6751.